A cardiac contusion can be a scary complication of a fall or motor vehicle accident. It can lead to damage to the myocardial tissue that can be temporary or permanent, representing a traumatic myocardial infarction. A cardiac contusion or “myocardial contusion” is a bruised area of heart muscle that is caused by a deceleration injury or blunt trauma to the anterior aspect of the chest wall. By definition, this usually involves a portion of the right ventricle of the heart, although other parts of the heart can be affected. The extent of the contusion can be minor or major. Often, a myocardial contusion is associated with a fracture of the sternum or a fracture of one or more ribs. 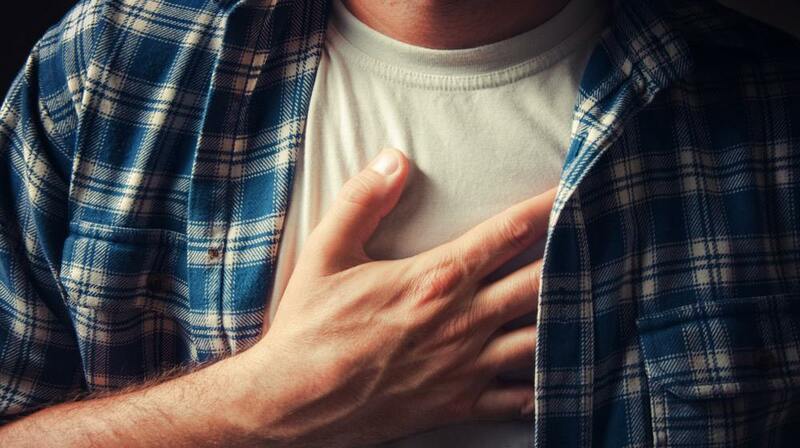 While a cardiac contusion is dangerous enough, it can be associated with an aortic rupture, in which there is profuse bleeding coming from the aorta where it normally connects to the heart. Certainly, further testing needs to be done on an urgent basis to tell if the problem is just a cardiac contusion or a contusion associated with an aortic injury. A myocardial contusion can also be associated with a rupture of the myocardium, a ruptured septum, a valve injury, a documented myocardial infarction, dysfunction of the heart or a heart arrhythmia. Cardiac contusions are fortunately infrequent complications of motor vehicle accidents, but it can be serious. Following this type of injury, the two most common sequelae are arrhythmia and hypotension. It is a difficult injury to diagnose without directly seeing the bruised tissue. This makes it difficult to diagnose the condition. In at least one study on the postmortem presence of myocardial contusion, it was found to be present in 14 percent of patients who died from a blunt trauma, such as a motor vehicle accident. Regarding the pathophysiology of cardiac contusions, it appears the injury is caused by direct pressure on the myocardium and by indirect effects caused by increases in intrathoracic pressures with shear stress happening at the same time. Evidence has shown that a large sternal blow can reduce the anterior-posterior diameter of the thorax by fifty percent. Studies have shown that one can get a concussion of the myocardium without real cellular damage or severe cellular damage and a severe myocardial injury. The right ventricle is the part of the heart that is mostly connected with this; however, the left ventricle can suffer from low output because there is a reduced preload from the right side of the heart. Both parts of the heart can fail with a resultant reduction in cardiac output of up to 40 percent. Fortunately, even with this severe of an injury to the heart, there can be spontaneous recovery after several weeks. The major cause of cardiac contusion is blunt trauma to the chest. In most cases, it requires a significant trauma in order to cause a reduction in the AP distance of the chest and contact with the sternum and ribs with the heart muscle itself, thereby bruising the heart muscle. Automobile accidents. The classic injury involves injury to the driver of the vehicle who strikes his or her chest on the steering wheel. Persons who are subject to cardiopulmonary resuscitation or CPR. Falling from a great height, such as 20 feet above the ground. If any of these cardiac contusion symptoms transpire, they should trigger further evaluation on the part of the doctor to make sure that true cardiac damage does not exist. Risk factors for a cardiac contusion include not wearing a seatbelt or having an airbag in patients who are drivers of a vehicle, high-speed crashes, which result in greater forces on the passengers and driving recklessly. All pedestrians are at risk when walking in or near roadways. 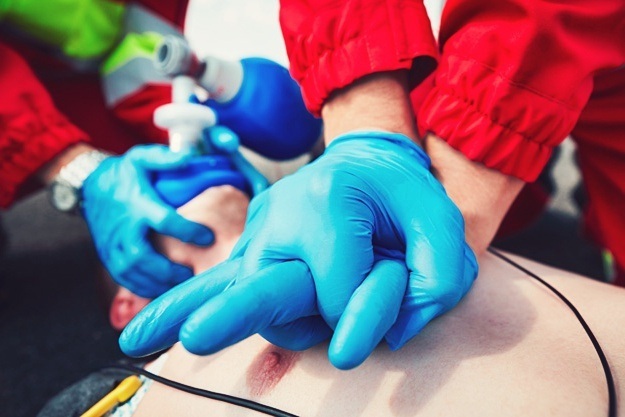 Patients who undergo CPR are at higher risk for a cardiac contusion. People who work at heights above 20 feet, such as roofers, painters or window washers put themselves at greater risk of cardiac contusion as a result of injuries on the job. Cardiac contusion diagnosis is difficult and complex. In truth, it can only be proven at the time of autopsy or potential surgery. There is no in vivo test that can prove or disprove the presence of cardiac contusion. Some tests are better than others in diagnosing the condition. The creatinine kinase or CK can be assessed to look for cardiac trauma. What is known is that 5-7 percent of skeletal muscle CK can show up as CK-MB band form so if there is a great deal of skeletal muscle injury, it can elevate the cardiac marker, CK-MB. In one study, it was found that the CK-MB band mass was elevated in 35 out of 51 trauma patients who incidentally didn’t have any chest trauma. What this means is that, while CK-MB is a good marker for cardiac injury, it isn’t a specific test when used in trauma conditions. The serum cardiac troponin level is extremely specific for myocardial damage. These troponin types are different from that found in skeletal muscle. Research has shown that the cardiac troponin level is a good test to both identify and stratify patients with cardiac injury. As a test, however, the troponin level isn’t as sensitive as it could be. This means that a person could have a cardiac contusion and still have normal troponin levels. Electrocardiography or ECG studies have been commonly in use by doctors in an attempt to predict a myocardial contusion. It has been found in research that the finding of an abnormal ECG at the time of admission to the emergency room was significantly correlated with cardiac complications of the trauma. Findings include nonspecific ST-segment changes along with changes in the T wave. Arrhythmias are also known to be suspicious of a cardiac injury. One study revealed the onset of atrial fibrillation in 4 of 12 individuals studied. ECG changes, in another study, were found in 70 percent of patients who sustained a significant blunt trauma to the chest. In the second study, the same nonspecific changes in the ECG were identified. The ECG changes did not do a great job of predicting those who had extreme cardiac damage. This was proven by autopsy in the 15 patients who ultimately died. In summary, the ECG can only be helpful in determining the presence or absence of cardiac trauma after things like hypoxia, acidosis, hypovolemia, or electrolyte imbalances have been ruled out or corrected. Transthoracic echocardiography or TTE has been used to identify patients with a cardiac contusion. During this study, the doctor can discover segmental wall motion abnormalities, such as hypokinesis, and right ventricular dilatation. It is a good test for cardiac contusion; however, the test is often obscured by injury to the thorax and injury to the lungs. A less than optimal test can be found in 13-39 percent of tests. While there is no real diagnostic test that surely identifies the presence or absence of cardiac contusion, it appears that the troponin test and the transthoracic or transesophageal ultrasound can shed light on the disorder. A cardiac contusion treatment is similar to the conservative approach to managing a myocardial infarction. The patient is usually hospitalized and placed on cardiac monitoring for a period of up to 48 hours. One study revealed that up to 95 percent of all life-threatening cardiac arrhythmias or acute cardiac failures happened within about 24-48 hours after the trauma. The patient needs to be hemodynamically stabilized while in the hospital. They may need cardiac pressors to bring up the blood pressure or anti-arrhythmic medications to treat rhythm disturbances that might be caused by trauma to the heart. An IV should be placed in the case of a cardiac instability. Hospital release is possible after 48 hours if the patient turns hemodynamically stable with no evidence of cardiac arrhythmia, but he needs to undergo follow-up checks until healing. If the cardiac contusion is mild, the patient will recover without sequelae after a few weeks. There are, however, serious complications that can occur with this problem. Troponin T and Troponin I screenings can be very helpful in determining who is likely to suffer complications. Cardiac Arrhythmia. The individual can develop atrial fibrillation or episodes of ventricular rhythm disturbances that can be deadly. Patients may need to be on medication to control rhythm disturbances. In other cases, the patient may receive an implantable defibrillator or pacemaker so that they can maintain a reasonable rhythm. Aortic Rupture. This can happen when the forces of the heart are so intense that there is a leak or rupture of the aorta where it inserts into the left ventricle. This is a condition with a very high mortality rate if not picked up quickly and treated with emergency heart surgery. Biventricular Failure. In a cardiac contusion, it is the right ventricle that fails first because of blunt trauma and lack of wall motion on the right ventricle. It then doesn’t put enough blood on the left side of the heart and the blood pressure falls from biventricular heart failure. Cardiac Rupture. If the contusion extends through the wall of the right ventricle, the forces inside the ventricle can cause rupture of the heart and blood entering the pericardium. This has a high mortality rate. If you or a loved one has suffered cardiac contusion as a result of someone else's negligence and would like to discuss your legal options with an experienced personal injury attorney.